How true is this proverb? Mother Earth speaks the language of flowers. Indeed, flowers give voice to our innermost feelings. Poets, writers, artists and even lovers have, for centuries used flowers to inspire art, work magic with words and of course express love and desire. This is true universally, and especially in the United Kingdom, which has a rich history of florally inspired art, drama and poetry. The Tudor Rose has been the British national symbol for hundreds of years. The War of the Roses (1455 – 1487), a conflict for the royal throne was fought between the House of Lancaster (represented by the Red Rose) and the House of York (represented by the White Rose). Red Rose symbolizes eternal love and fidelity. When used in combination Red and White Roses stand for love solidarity. Pink Roses are an invitation to ‘meet the giver, in the moonlight’. Calla Lilies stand for magnificent beauty. Amaryllis symbolize splendid beauty and pride. The Yellow Iris is considered the ‘flame of love’. 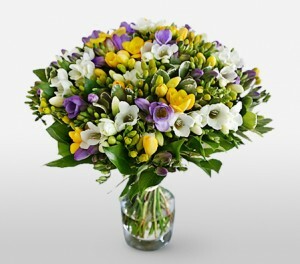 Freesias are the flowers of eternal friendship and respect. Carnations in their myriad hues symbolize faith, hope and platonic love. Red Chrysanthemums stand for true love. White Chrysanthemums stand for truth. Flowers have a traditional hold on celebrations in England. They are deeply rooted in local folklore and legends. To a neutral, these meanings and symbolism can be quite confusing which can lead to embarrassing situations, where despite the best intentions you may end up with the wrong flowers for the right occasion in question. Read our comprehensive UK flower gifting guide to perfect sending flowers to the United Kingdom (UK), in order to get the art just right. Celebrated on the 14th of February worldwide, Valentine’s Day marks the commemoration of true and eternal love. In a country that celebrates the Rose as its national flower its little wonder that Valentine’s Day, sees a riot of Rose themed floral arrangements gifted. Want to make a break with Valentines tradition? 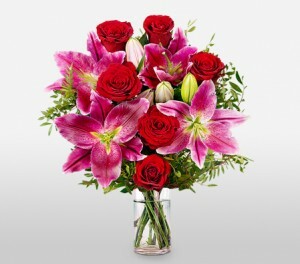 Send flowers like Calla, Lilies, Freesia and Carnations (with or without the Red Rose). Another beautiful way of expressing one’s loves is by sending Gifts, Cakes and Chocolates Hampers. Combine them with wine and a greeting card. This heady cocktail of gifts will make the giver, quite hard to resist. Roses are the national flower of the UK, but it would be rather foolhardy to expect them to be available all year round, especially around Valentine’s Day. So in order to avoid disappointment or paying a hefty sum, reserve your floral arrangement a few weeks in advance. Women’s Day is celebrated in the UK on the 8th of March, as a way to celebrate the role of a woman in all spheres of life. The Brits however also celebrate the day as Mother’s Day (locally). So all the hats a woman dons, from being a mother, to being a working professional and spouse, is recognized on this day. 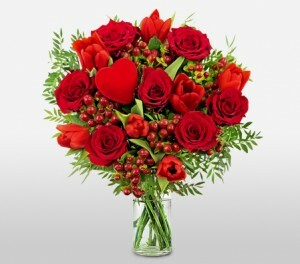 It is therefore considered appropriate to gift flowers to all the important women in one’s life on this day. Some of the flowers that take center stage include Carnations, Roses (in their many colors), Freesia, Iris, Lilies, Gerberas and Indigo flowers. Women’s Day is an important celebration of the many roles a woman plays in this society. 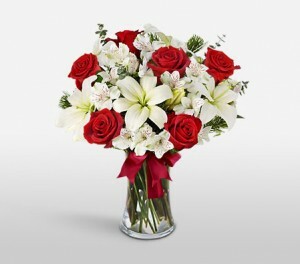 A floral arrangement must be tailor made according to the role of the recipient (woman). For instance while it may be appropriate to gift a lover or a spouse a bouquet of red Roses, the same does not hold true for a coworker, where a bouquet of Assorted Flowers makes more ideal. The importance of a mother to the British culture can be underscored in the fact that they celebrate Mother’s Day, twice a year. International Mother’s Day is celebrated in the month of May. This day sees a great sense of reverence and love, displayed to one’s matriarch. In British society, the mother is viewed as the cornerstone of the family. 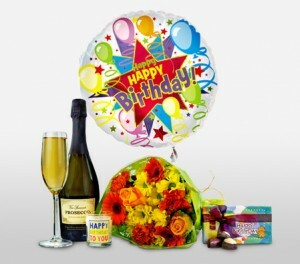 Little surprise then, that her day sees a glut of celebratory bouquets and gifts heaped on her. The flowers that take center stage on this occasion include Roses (in different shades), colorful Carnations, jolly Hypericum and other seasonal and premium flowers. Thoughtful touches like Chocolates, Cheese Hampers and Gifts used in combination with flowers, add a whole new dimension to gifting on this day as well. A mother plays in important role in a person’s life, and while flowers do express one’s love aptly, a card with one’s handwritten sentiments is a beautiful way to pay tribute to the matriarch of the family. Consider a couplet from antiquity or a quote, when writing out your message. If the mother is the glue that binds the family together; the father is a young child’s gateway into the world. The first ‘doer’, the disciplinarian, the imparter of values and a solid foundation, these are the roles of the father that British society celebrates on Father’s Day. Brits love treating their father on this day and the extent of celebrations can be as personal as a visit to the local or a trip to the football match to as intimate as a family dinner. Flowers obviously play a vital role in these festivities. Some of the flowers traditionally gifted include Roses (in all their myriad hues), Asiatic and Peruvian Lilies, Freesias, Iris, Carnations and other seasonal and premium flowers. Fathers love gifts that they can use. Utilitarian gifts like ties, ornate fountain pens, stationery and others make a wonderful addition to your floral tributes. While the UK today is more cosmopolitan than ever before, it’s most popular religious festival, by far is Christmas. All the traditional trappings of the festival, from honey glazed ham, to the ornately decorated tree, the Christmas goose to the plum cake and snowmen are still a part of the cultural ethos of the country. The feast at Christmas sees generations of the family converging at the well decked dinner table to celebrate the togetherness of the season. Gifts, especially floral themed gifts, are a staple of the festivities. Popular flowers used both in centerpieces and arrangements include Carnations, Roses (especially White and Red Roses), Lilies (local, Asiatic and Peruvian), Freesia, Gerberas and Iris. Christmas in UK is celebrated at the height of winter and as such isn’t a prominent flower bearing month. In order to get the best possible bouquet, floral arrangement or centerpiece for your family celebration therefore, it is advisable to reserve it a few weeks or a month before the festival. How To Get Flowers Right For Different Occasions? While festivals and special days are great occasions to gift flowers; there is something to be said about floral arrangements for important milestones, personal celebrations and solemnities. It is these occasions that are brimming with significance for the English. There is a lot of emotional significance and symbolism that goes into gifting flowers, at birthdays, weddings and funerals. Here then is a quick guide of the kind of flowers that are appropriate for these occasions. As is the case with any country, birthdays in the UK are joyous occasions where friends and family come together to celebrate and cherish the birthdays. Flower bouquets and floral arrangements are an excellent gift to perk up the occasion and show the person in question how much they mean to you. The flowers to go with: Roses are amongst the best flowers for any occasion and it is traditional to present the individual whose birthday it is with these flowers. 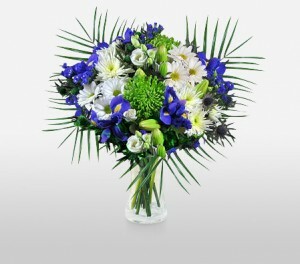 Seasonal flowers and bouquets comprising Gerberas, Calla and/or Tulips and Daisies also make excellent gifts. Combinations: Depending on your relationship to the recipient, you could pair your floral bouquet with wine, cake and a treat, such as a good book or any gift you’d like them to have. In Britain, most weddings follow a church and civil ceremony, followed by a wedding reception. The church ceremony in particular is a wonderful showcase for ornate floral arrangements and centerpieces. Bouquets and sprays make wonderful gifts at the reception as well. 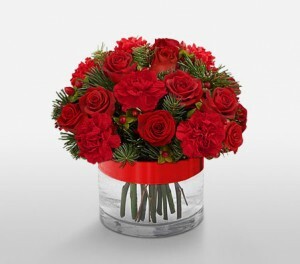 The flowers to go with: Red Roses in combination with white flowers, such as Daisies and Carnations are perfect coming from close family and friends. 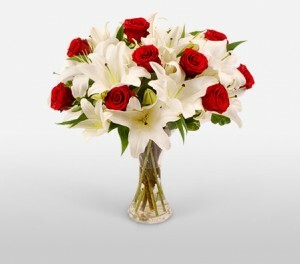 Acquaintances and coworkers should stick to White, Pink or Yellow roses, Chrysanthemums and/or Lilies. Combinations: Ask for the wedding registry where the couple have registered, and combine your floral arrangement with a gift they’d really like. Your floral arrangement ought to take into consideration both the bride and the groom’s favorite flowers, considering it is a gift to the both of them. Funerals in the British Isles are occasions of both solemnity and solidarity. Solemnity as the mortal remains of the deceased are consigned to the grave. Solidarity with the bereaved family, as people share their sorrow. Floral arrangements and wreaths therefore play a very important role in the proceedings. Choosing flowers to express condolence: Like in most Western cultures, white flowers are considered to be appropriate as flowers of mourning. 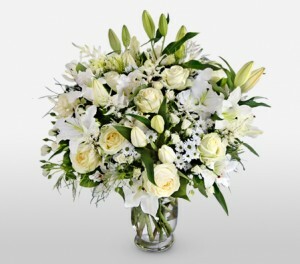 Therefore lilies, white roses, white carnations and others are considered appropriate funerary tributes. Condolence Message: Condolence messages give the bereaved family hope and can seriously raise their morale. So a heartfelt condolence is a beautiful touch. Something to the effect of “Wishing you peace brings comfort, courage to bear the loss, and loving memories to hold forever in your heart. Our heartfelt condolences”. Inspect the flowers closely. Make sure there aren’t any defects in them, as flawed, or damaged flowers are considered as a mark of disrespect and disdain. Where Flowers Come From In The UK? UK is one of Europe’s foremost grower, consumer, exporter and importer of flowers. Being one of the most developed economies in the world, the domestic markets demand for flowers is at an all time high and even all of the nurseries in the isles put together cannot keep up the supply. Therefore like many countries the UK too needs to import flowers. Some of its biggest suppliers include Central and South America (for Roses, Daisies and Orchids), China (Roses), India (Sunflowers, Orchids and Roses), The Netherlands (Tulips), Germany (Lilies and other seasonal favorites). Always check the flowers for defects: The British are a very proud, particular people. Social mores and etiquette is of the utmost importance and as such when making a floral offering at an occasion, perfection is both demanded and expected. So in order to avoid a major faux pas, inspect the flowers that are going to be used in your bouquet for any defects. Always take into account the recipient’s likes and dislikes: There’s an old saying, “do unto others, as you would like them to do unto you”. It simply means that you should take into consideration the likes and dislikes of the recipient of your bouquet, and the flowers it contains ought to be up to their liking. Research the meanings of flowers: The symbolism of flowers is extremely important to the British and as such a little reading about the floral constituents of your bouquet will save you from a lot of embarrassment, and help you choose the right flowers for the right occasion. How To Prolong The Life Of A Floral Gift Received? Remember to re-cut the stems and remove excess foliage. This increases the life of flowers and keeps them fresher for a longer time. Keep your bouquet in a cool location, away from direct sunlight and also electronic appliances that give off heat. Closely follow the “Flower Care Guide” that come with the bouquet. United Kingdom is one of the world’s most progressive societies. It is however one of the most regimented societies, when it comes to etiquette and social interaction. These rules may have their roots in Victorian times and especially in the matter of floral gifting may seem particularly tricky. But with our comprehensive guide to the gifting of flowers, you can confidently set about gifting your British family, spouse, friends and business contacts flowers without running the risk of being inappropriate or embarrassed.